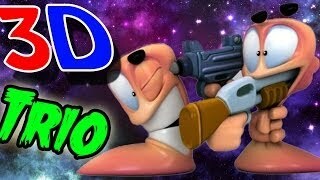 Следование до наградами, Популярная Worms 2: Armageddon здесь! Now available for Android, Worms3 is the latest in the award-winning series. 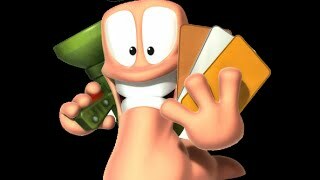 Worms is a chaotic turn-based strategy game laced with dark humour.DEAL yourself the advantage with a new, game-changing enhancement. Turn on the card mode and alter the start and end of each turn by the playing of strategic cards. COLLECT in-game rewards that allow you to purchase bronze, silver and gold cards. Build your deck from 41 fiendishly designed cards! ENLIST your perfect battle combination as you choose your worms from a new ‘Class’ system - Heavy, Scientist, Scout and classic Soldier. Each has their own unique skill and ability. Which will fit in with your style of play? SHOW off your skills by earning Achievements! Delightful blends of the simple and complex, these goals have been deliberately engineered to push you and your wormy skills to the limits! PLAY online with asynchronous multiplayer warfare. Enrol in ranked or friendly matches and show off your prowess. Remember, with asynchronous multiplayer you don’t have to commit to a full session at a time. Take your turn then go beat your friends score in the single-player Bodycount mode! BATTLE in multiplayer Forts or Deathmatch modes and challenge yourself with the increasingly difficult Bodycount single-player game. CONQUER 27 single-player missions across 4 new themes (Beach, Spooky, Farmyard and Sewer). CUSTOMISE your squad and make them unique with a huge amount of customisation elements new to Android! INCOMING! All your old favourite weapons plus six new ones on Android, including a couple of returning classics such as the Old Lady and the Homing Pigeon! BE THE BEST and worm your way to the top of the Leaderboards across all major game modes including single player as well as asynchronous online ranked matches. GREATER CONTROL for players who can now choose between an all-new D-Pad control system and the original touch controls. MARVEL at the glorious streamlined menu system. Gamers can now enjoy a much more pleasant and navigable menu system with a quick access player HUB for all updates and information!The game requires “Read_Contacts” permission for finding friends for multiplayer matches. The game also requires "Read_Phone_State" permission for analytics purposes. Застрял на одном из уровней. 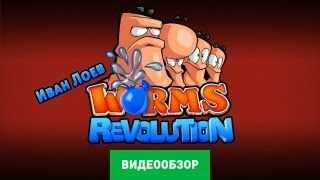 Как пройти "Worms 3"? 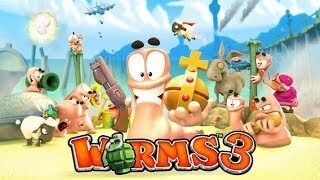 Почему "Worms 3" не устанавливается? Скачал, но приложение не запускается, вылетает с ошибкой. 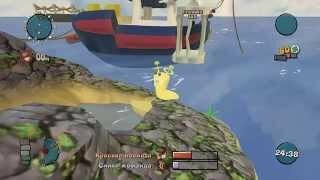 Мой телефон работает на андроиде версии 4.4.1 KitKat, смогу ли я установить "Worms 3" на карту памяти? 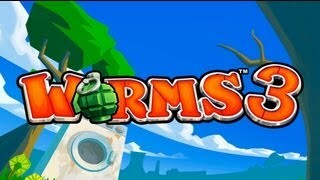 Как установить версию "Worms 3" для ПК с Windows? 2# - Сыграем в ящик ? 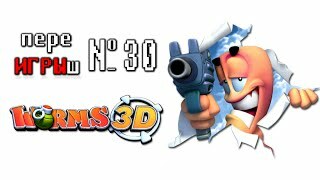 3# - ГробокопателиКто затрудняется пройти level в игре Worms 3D смотри меня! не забудь поставить лайк и подписаться! Оценка 4,2 из 5 на основании 7807 голосов.